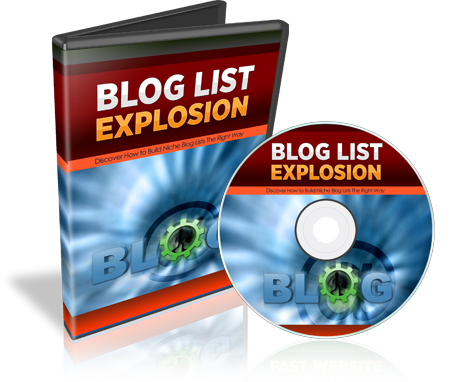 "Finally, Discover how to Build Profitable Niche Email Lists through WordPress Blogs and Profit from them...Starting Today!" As you know, the money is in the list, but it doesn't happen overnight, and there's no magic button to press that will generate a niche list. Having your very own online ATM that generates cash while you sleep is not a dream. It's not hype. It’s a reality. There is some work involved, as with anything else, and I will be upfront and honest about this. With that said, I have created a video training course that has condensed years of mistakes and time so that you don't have to do the same. The truth and secret is that you can make more money by selling to specific niches versus general ones. It's easy to want to sell a product to a larger audience, but the fact is that the more general you go, the more you will lose your audience and conversions. If you target deer hunters as a niche and say, "How to Shoot a Deer and Increase Your Aim within 30 Days," it's likely that deer hunters would be quite interested in this. But if you try and sell something general, like "How to Increase Your Gun Aim in 30 Days," you may reach a larger audience, but because you're reaching a larger audience, there is going to be less conversions. So think about it. If I setup a specific niche blog, I may get less people signing up for that list, but your conversions go through the roof! So what I'm trying to say here is that if you find a niche of avid buyers that love to buy in that niche, then that's powerful. So let’s get back to this training course. How would you like to learn how to set up these mini WordPress blogs with helpful tips and advice for the end goal of building your list? Nothing has been left out. You'll gain access to a step-by-step video course that shows you click-by-click how to setup your WordPress blog and begin building your niche-based list. In this video, you'll be given an overview of how the system works and how you should approach this with the right mindset before stepping into any niche market. The debate goes on. Should you go after profitable niches that you don't really care about or niches you do care about? These and many more questions will be answered. This video will include all the tools you need to get started. We’ll do our best to stick with free tools, but with some lower-cost tools. In this video, you'll learn the basics of setting up a website. Instead of spending hours trying to figure this process out, like I did, you'll be given an easy three-step process to achieving this so that you can be on your way to the next video, which is setting up your WordPress blog. This process should take less than 15 minutes. In this video, you'll learn how to setup your WordPress blog and other must-haves to get it ready for building your list. This part is crucial because if it’s not setup correctly, the rest of this system will not work as effectively. Remember to set yourself up for success initially and all else will follow. Content is key. It is what builds your blog, it helps with traffic and gets visitors to come to your site if the content is good. But there are specific do's and don'ts when it comes to getting your content ranked well enough on the search engines to attract prospects. In this video, you'll learn how to link your content using a method called deep linking, which consists of making it easier for search engines like Google to find your related content and to see how valuable your site is in relation to the niche market you are trying to target and get to your site. Congratulations! By the time you watch this video, you've build your site. It's time to set up your blog to take in leads by setting up your auto responder campaign and adding it to your blog. When someone gets onto your list, now what? What's next? Well, assuming you know what you are going to sell, you need to know how that product or affiliate product can benefit them, which makes it easier to write your emails. In this video, you'll learn how to write follow-up emails that will act as your 24/7 email list converter. After you've setup your site, you need to drive traffic. Since this system has setup your site to be search engine friendly, we will use a related search engine strategy that you can easily outsource and begin to see results fast. So, with that said, grab this video series now and start building your high converting niche-specific list through WordPress blogs the right way. You’ll gain access to the full 9-part step-by-step process to help you zoom forward fast. P.S. 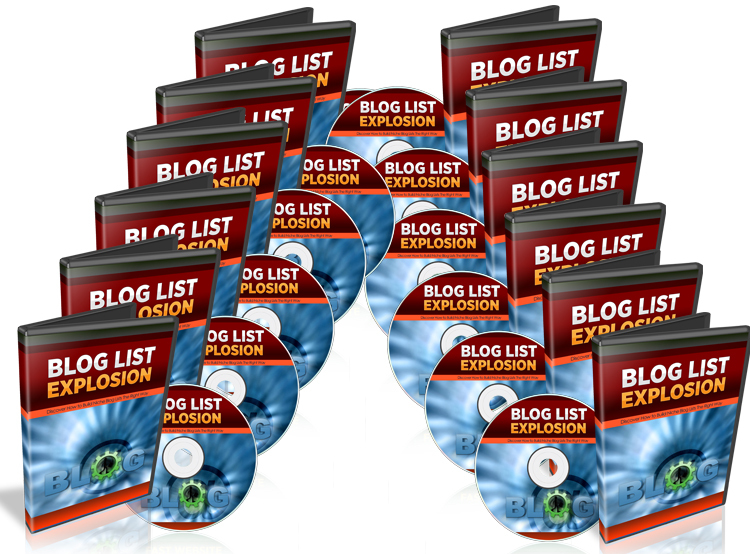 Finally, Discover how to Build Profitable Niche Email Lists through WordPress Blogs and Profit from them...Starting Today!" This video training course will show you, step-by-step, how to set up a WordPress blog, build a list and convert that list into sales. P.P.S. You can view this video immediately after your purchase, so you don't have to wait until I wake up or even be in the same time zone! Simply watch me, step-by-step, as I reveal to you my secret system.